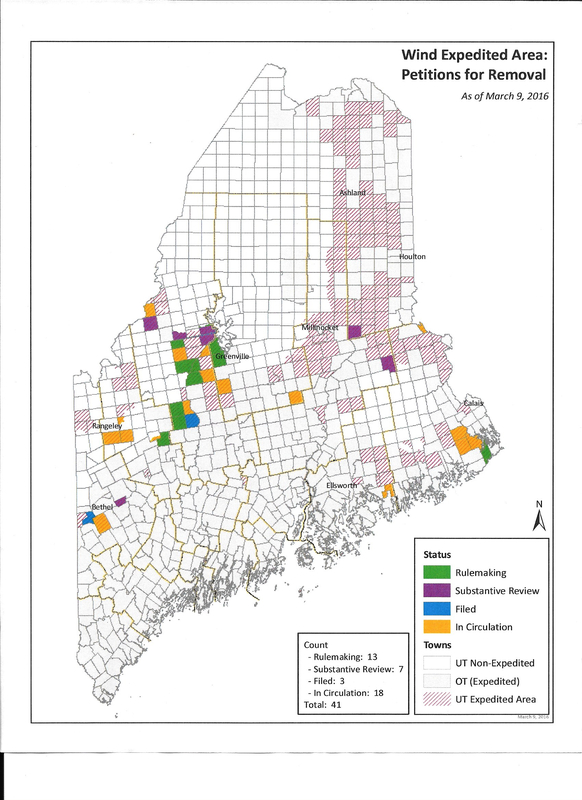 The passage of LD 828 last June (now Public Law 2015, Chapter 265) gave Unorganized Territory communities the opportunity to petition the LUPC for removal from the special wind permitting zone set up in 2008 in a hasty, poorly considered move by the Maine Legislature. Map of current petition status. At Wednesday’s meeting, the final administrative procedures needed to remove thirteen communities from the expedited permitting area were completed. Eight other communities that had petitioned for removal were not as lucky. 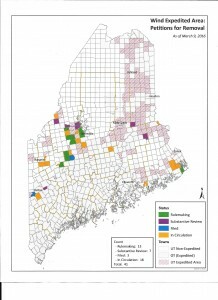 In those places, individuals or companies are challenging the petitions of local residents, an effort to keep those communities from regaining their right to a voice in matters related to industrial wind development. Residents of affected UT communities have until June 30, 2016 to submit petitions for removal from the expedited permitting area. Information on the petition process and how to go about it is available at the LUPC’s website. Taunton & Raynham Academy Grant Twp.